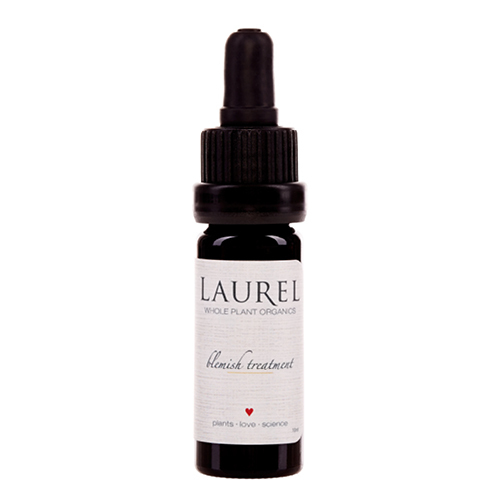 Blemish Treatment by Laurel Whole Plant Organics improves the appearance of breakouts holistically. Antibacterial botanicals, like thyme and tamanu oils, soothe signs of inflammation, while lavender and blue chamomile lend a calming sensation to both the skin and the senses. Helichrysum diminishes signs of scarring and makes skin's surface look smoother, and gem essences impart a sense of self-love and acceptance. Apply day and night regularly for optimal results. Tap blemish treatment over areas of concern and allow to set before following with face oil, makeup or moisturizer. To improve the appearance of breakouts or for an everyday calming sensation, add 2 drops of the acne essential oil blend to your face mask, oil or moisturizer and massage in while enjoying the deeply relaxing aroma. I received a very generous sample of this from Beauty Heroes and it lasted ages because you only need one drop at a time, it’s so concentrated. I use it at night after I apply the Siam seas Yen toner and balm. I massage in one drop over the areas of concern over the balm. It calms down areas where spots are forming and heala existing spots. It doesn’t work overnight but I appreciate that it doesn’t dry my skin out like when I used traditional benzoyl peroxide creams. I don’t think it clears deep or cystic acne spots as quickly as the benzoyl peroxide cream, but I also don’t get as much irritation and dryness as when I use that cream. It’s better on smaller spots and whiteheads but given some patience it does deal with the bigger spots. I really like this treatment and even though it is pricy it works. Given how little is needed you might struggle to use it up before it expires, but I still recommend checking this out.